The Chief Marketing Officer (CMO) is on the frontline of digital marketing and delivering digital experiences. Over the past decade, CMOs have gone from being a cost center, siloed within their own organization, to being a full-blown digital player, charged with P&L and caring for the entire customer lifecycle. CMOs have gone full digital, hiring marketing technologists, data analysts, and “growth hackers” in addition to the usual creative types. As customers increasingly turn to digital touchpoints to interact with brands, CMOs are focused on creating great digital experiences. 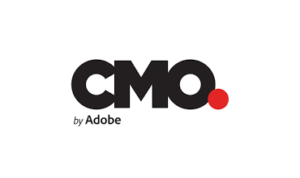 Recently, the editors at Adobe’s CMO.com blog sat down with CMOs at some of Europe’s leading brands to get insights into how these brands are responding to the challenges and opportunities of new digital economies. One of the world’s largest cable companies, Liberty Global has more than 27 million customers and operates in 14 countries. It owns U.K.-based telecom Virgin Media among other telecom brands. Liberty has 12 markets in Europe, each with a local CMO. Liberty’s Peter Dorr, Managing Director Strategic Marketing, Sales and Customer Service, says the CMO office at Liberty Global acts as thought leader and innovation leader, and tries to be ahead of the curve in two areas. “First, we focus a lot on new technology and new developments because we define the long-term strategy, whereas the markets have a shorter-term focus,” Dorr says. Liberty’s digital experience platform, running Elastic Path Commerce for Adobe Marketing Cloud, forms the basis for the organization-wide platform. Narry Singh, Managing Director of Digital Business Strategy at Accenture says marketers are far ahead of their peers in terms of what’s happening in digital.